Bed bugs are parasitic insects that feed on blood which were thought to be eradicated at some point in the early 1940’s but have unfortunately made a comeback. And just because they’re called bed bugs, don’t let that fool you into thinking they only appear on beds and in bedding. They like to live on people’s clothing, in furniture and will often hide in boxes or suitcases which will cause them to spread from place to place. Luckily there are ways to treat this problem. For instance, many companies use bed bug sniffing dogs these days. Living in an apartment. Your apartment may not be the source of the infestation. Bed bugs like to live between walls and if your neighbor has them, it’s only a matter of time before you do as well. This will make it difficult for you to permanently get rid of them because if your neighbor doesn’t do anything about their own infestation you will suffer. Hotels often have bed bugs infestations and as it was mentioned above, these pests like to crawl into luggage and boxes so if you’re traveling you may have an extra treat waiting for you when you return home. Hotels will often utilize bed bug sniffing dogs but sometimes, an infestation can’t be avoided due to the amount of people coming and going. International travel ups the chances of inadvertently bringing bed bugs back into your home so be diligent and inspect your clothes and luggage before leaving. It’s possible you could get them just from being in someone else’s house that may have an infestation. You’re at risk if you are a traveling salesman, plumber, electrician, etc. If the homeowner doesn’t know, you won’t know. 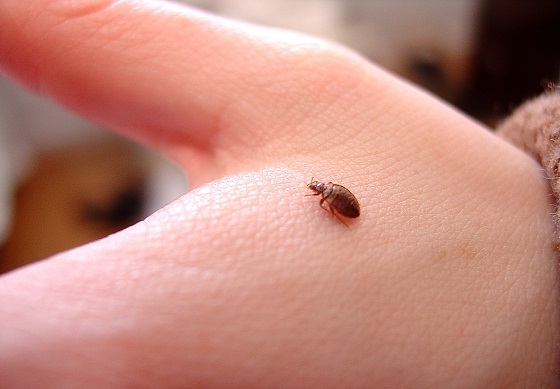 Sometimes a guest staying in your house may accidentally bring bedbugs into your home. In recent years, dorm rooms have been a breeding ground for bedbugs so if you have a child away at college they could bring them home with them on holidays. Unfortunately, used furniture and clothing can have bed bugs. So if you like to shop at thrift shops, at Goodwill or in other places that may sell used articles of clothing and furniture, be sure to check each item thoroughly and of course, if you do find something, let the shop owner know so they can get the problem checked out. A rare occurrence of the spread of bedbugs to humans is through wild animals. You may think it’s a nuisance to have a bird or a bat accidentally trapped inside your home but what you don’t know is that it’s possible for these animals to carry bedbugs. The important thing is to know that you can treat an infestation but that it will need to be done by professionals. The most common way is with bed bug sniffing dogs. These animals are specially trained to find the source of the infestation and help target the area of your house that needs to be treated. To know more information about bed bugs, click here.